...through wiping, we learn. : About maps and a lot of quests. I have this nice thing on the left, which says what my most-played chars are doing... not much levelling on Cymar that is. I just decided that it was time to get my explorer's badge. Most of the map was already visible, just some weird spots left. 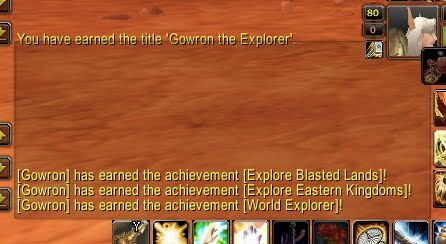 I already had the achievement for Outland, and with the fact that I levelled before faster levelling and heirlooms on Gowron, most of the map was already clear, only those last spots.. Most of the time, the quests I had where deliveries/report-quests. And hard to find sometimes. 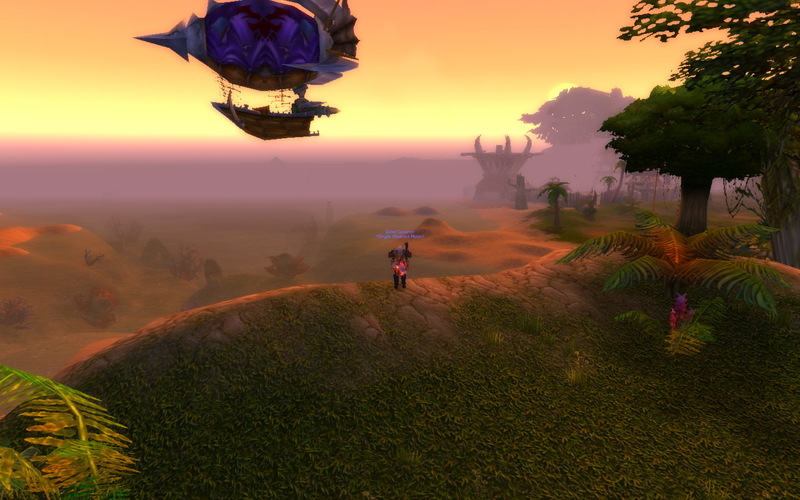 In most of the zones I only had a max of 5 quests to do, probably forgot them, or never encountered them 4 years ago. I did had all the quests to do in the Undead starter zone though. I also didn't do any of the Nesingwary quests in STV, another nice bunch. 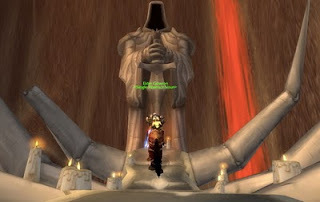 In Kargath I encountered a lot of undone quests, most of them in Blackrock. Also, all the quests leading up to the Thorium Brotherhood where nice. I had bever been in that cave before. 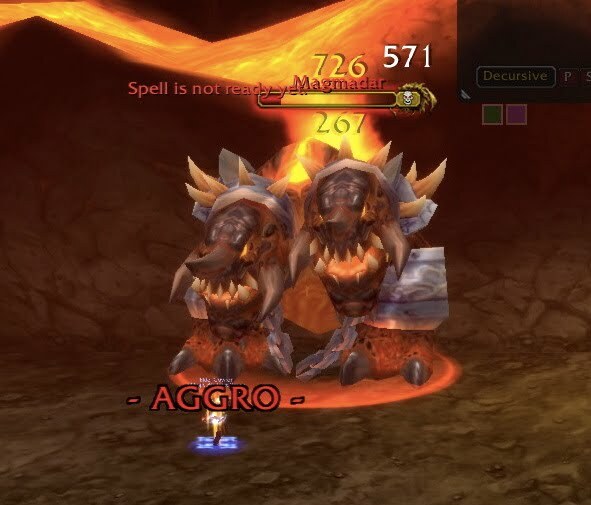 And there was a long quest-chain, bringing me all over the world, regarding the dead hero of the horde on the border of Swamps of Sorrows and Blasted lands. A picture of the magnificient Horde Transportation System, while I was killing some cloaked Panthers. some nice pants , yes, from the banana-shoulders-set.